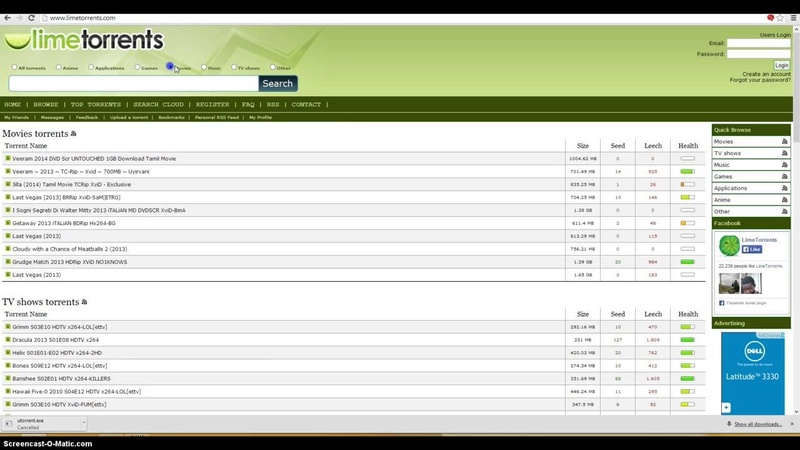 Lime torrents is one of the most popular websites in the Torrent protocol. Like few Torrent websites, it does not have any specialisation, so it generally deals with all kinds of movies, video songs, software, games, and TV series. The users here enjoy complete anonymity, and they get a wide range of web contents available on this website. The range of movies and web content available here is so huge that almost every genre movie is present on this website. It also facilitates with a directory and a search option through which one can easily shortlist and download web content as per his/her wish. All the content available on this website is free of cost. Even signing up is not mandatory. The contents include movies from many countries and with subtitles of many languages. Almost every file is available with the option of HD or 720 pixels minimum. This site makes all the new TV series and movies available right after the release. So you don’t have to spend a lot on newly released movies by going to multiplexes as you can enjoy movies of your choice sitting at your home. It also gives almost every famous PC games and music videos. There is also an option to rate the content and leave a comment on the content.